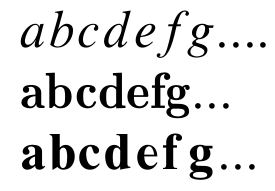 that is, the \mathbold alphabet is changed - the mid-line uses a different weight. 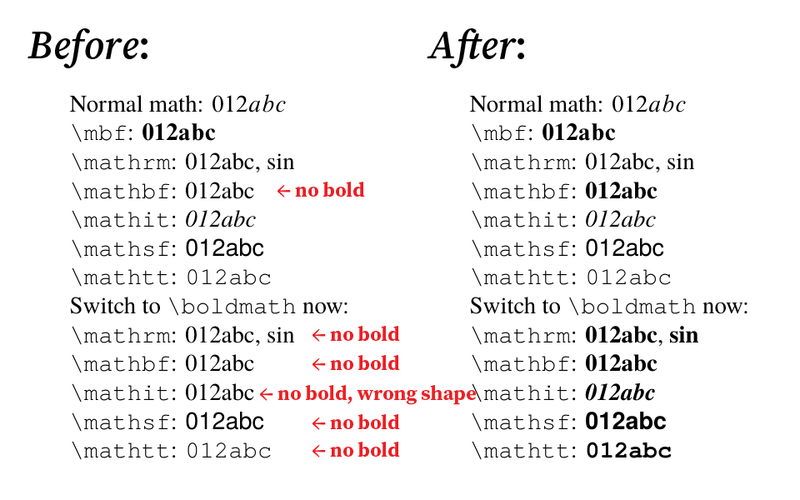 I am well aware of the question Fontspec changes the bold math and tried everything there and it does not seem to apply. You have made some misunderstood claims here: 1) \mathbf does not give you lite-bold; 2) \mbf does not give you heavy-bold. I’d like to first correct some misconceptions and then present a solution. which means that the \mathbold alphabet is bold and italic. You must purchase the complete version of mtpro2 to get this alphabet. So your lite examples have nothing to do with \mathbold. 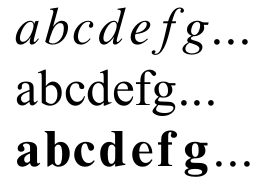 The \mbf alphabet, however, does exist with the lite version, and \mbf is indeed a separately designed bold upright math font. All heavy math fonts are available only with the complete version. The a and the b will be printed in bold upright face of the text font, while the hyphen - behaves like the minus sign because you are in math mode. The \mathXX commands only affect what’s called the \mathalpha class (usually includes all digits, lower and upper Latin letters). See? The \mathbf command switches to text font (Comic Sans MS) here. 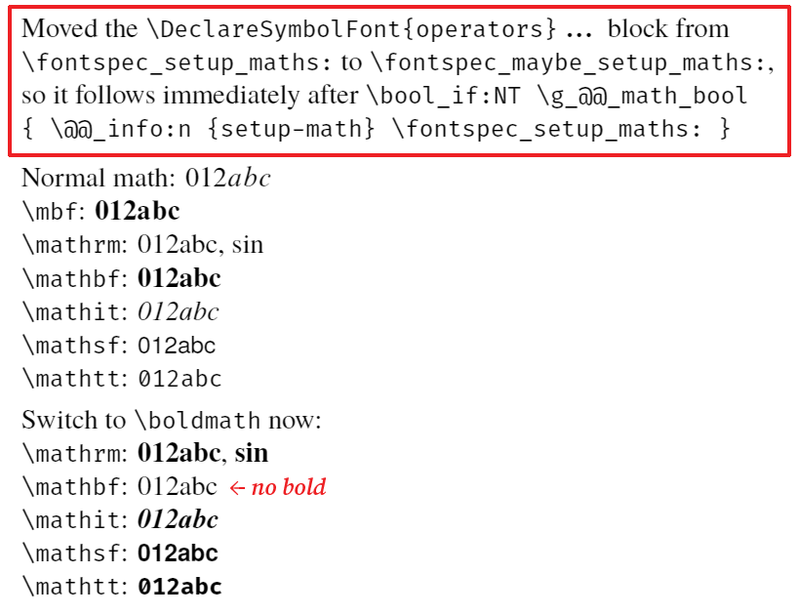 If you look closely in your pdfLaTeX example, then you should realize that \mathbf switches to Computer Modern Bold, which seems to be “semi-bold” because the default is Computer Modern Bold Extended. Maybe this is why you think \mbf is heavy: It isn’t. You have Times New Roman for Windows, Times for MacOS, Nimbus Roman No. 9 L for Linux. These are all Times-like digitization of the same/similar metal types. In the TeX world, you have TeX Gyre Termes. For cross-platform considerations, I would suggests TeX Gyre Termes (IMHO, it has better support in, of course, TeX). P.S. The no-math option is no longer needed since fontspec v2.7b (2019/02/12). See this CTAN announcement. Ruixi Zhang has a great answer that expands on this. Other options include mathastext and, in XeLaTeX, mathspec. You could also drop the legacy 8-bit fonts entirely and use unicode-math with something like STIX Two Math. Not the answer you're looking for? Browse other questions tagged xetex luatex fontspec mtpro math-fonts or ask your own question. What do the various values of the Ligatures= option of fontspec do?